Ariana Grande has been experimenting with her hair a lot recently, having transformed from brunette to grey earlier in the month. Now, the One Last Time singer has gone a step further and was pictured on her Instagram account on Monday rocking a blunt fringe. While it is unclear whether it was a wig for Halloween or a completely new look, one thing's for sure – it looks great! Ariana shared a black-and-white image with her followers, captioning it with a bat emoji. Fans were quick to comment on the new look, with many compliments coming her way. One wrote: "I love the bangs on you," while another said: "Looks gorgeous." Celebrity hairdresser Christopher Appleton – who has worked with Kim Kardashian, Rita Ora and Jennifer Lopez - also shared the image on his social media account, captioning it: "How cute are these bangs! Ariana, 24, showcased her grey hair at the beginning of October, taking to Instagram once again to share a photo of her hair bleached and tinted. The singer posted a photo of herself with a filter adding pink hearts around her head. While her hair appeared to have a pinky purple tint to it, she clarified the color in the picture caption, "btw (by the way) (it's grey)". Ariana's trademark ponytail has long been the envy of many, and the star previously opened up about her hair look to Byrdie. Of the reactions she gets to her ponytail, she said: "Picture me in fourth grade with a little half-up side-pony flopping around my head. I never expected it to become such a thing. This is what makes me comfortable, and I feel like there are a thousand different ways to do a ponytail. A million!" She added: "It brings me so much joy, honestly. Every time I put my hair up, it's a surprise. Like, I forget how much I love it, and then I tie it back and I’m like, 'I love this look! Ooh, girl!' Every time I tie it up is like the first time. It’s like true love." She is our favorite singing star, we can listen to her all day long and never get bored. She has stolen our hearts and she has been doing all the good work in this world and showing the fans how much she loves them. We are definitely talking about the singing sensation Ariana Grande. Her name is Ariana Grande-Butera. She was born on June 26, 1993, in Boca Raton, Florida. 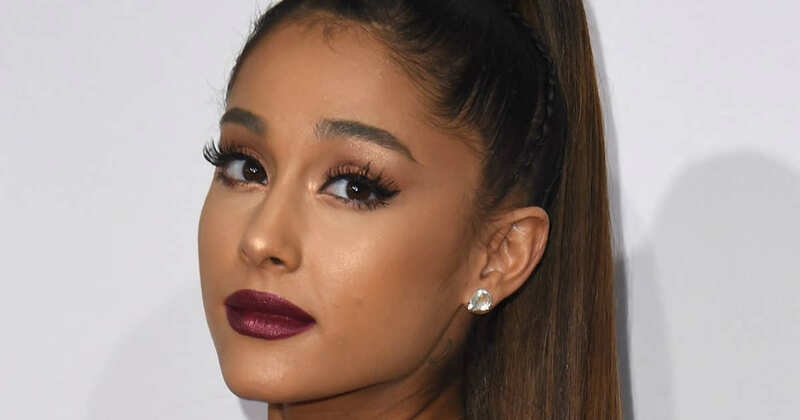 Ariana Grande is the daughter of Joan Grande, the chief executive officer of Hose-McCann Communications, a telephone and alarm system company, and Edward Butera, a graphic design firm owner in Boca Raton. Ariana Grande also has an elder half brother named Frankie Grande who is actor, producer and a dancer. 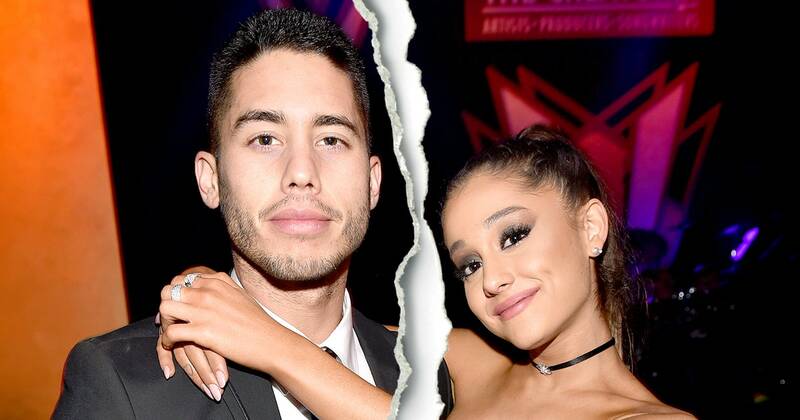 The family moved to New York when her mother was pregnant with her and her parent's field a divorce when Ariana Grande was just 8 or 9 years old. When Ariana Grande was a child she used to perform with Fort Lauderdale children’s theater. When she was just 8 years of age Ariana Grande performed at a karaoke lounge on a cruise ship and with various orchestras such as South Florida's Philharmonic, Florida Sunshine Pops, and Symphonic Orchestras. Ariana Grande had made her very first national television appearance with The Star-Spangled Banner for the Florida Panthers. When Ariana Grande was 13 she started recognizing her interest in music while she continued with theater. When she arrived first in Los Angeles and met with her managers Ariana Grande expressed her desire to record an R&B album, whereas the managers disagreed that who would buy an R&B coming from a 14-year-old. In 2008 Ariana Grande was cast for a role of supporting cheerleader in Musical 13 in a broad way and for which she won National Youth Theatre Association Award. Ariana Grande also used to sing at New York City Jazz Club. Ariana Grande breakthrough arrived when she appeared for an audition for a Nickelodeon series Victorious with co-star Elizabeth Giles. Ariana Grande had to dye her hair red every other week for her role as the directors did not want all the girls to be brunettes on the show. The show premiered in March 2010 to the second largest audience for a live-action series in Nickelodeon history with 5.7 million viewers. Ariana Grande also said that acting was fun and she had now become the teen idol but she always knew that music was her first and foremost priority. Season two premiered in April 2011 to 6.2 million viewers, becoming the highest-rated episode of Victorious. In 2010 Ariana Grande played the role of Miriam in the musical Cuba Libre. As she got done with her first season of the show she began to take vocal lessons from Coach Eric Vetro. Ariana Grande made her first appearance for signing on with the track Give it Up on the soundtrack of a song of the show Victorious. Later in 2011, she voiced a fairy Princess Diaspro for a 13 episode series which was airing on Nickelodeon. In 2012 the title track of Victorious 2.0 was released which was featuring Grande and the song was Don’t You. The third and final Victorious soundtrack, Victorious 3.0, was released on November 6, 2012, featuring Grande in the song L.A. Boyz. Nickelodeon also launched an iCarly and Victorious spin-off starring Jennette McCurdy and Grande. It was a 40 episode series which had its last episode aired in July 2014. Ariana Grande was keen to record her album while working for her shows and recording for the channel. So Ariana Grande finally released her debut album Yours Truly over a 3 year period of time. In September 2013 it was the No. 1 album listed on the US Billboard 100. This album of hers had 138,000 copies sold in its first week, making Grande the first female artist since Kesha to have her first album debut atop of the charts and ranking her the 15th female artist overall. The lead single of that album booked it spot No 10 on the US Billboard 100. In 2013 Ariana Grande had also acted in the Nickelodeon film named Swindle which was an adaptation of children novel of the same name. In December that year, she released a song named Christmas Kisses which received an immense praise for its R&B spin. In 2014 Ariana Grande had begun recording for her second studio album with Ryan Tedder. Ariana Grande also won the People’s Choice Award for the favorite breakout artist that month. In the same year she sends the white house also and the following month Barack Obama and the first lady Michelle Obama invited her again to the White House to perform for the Easter Roll Event. Ariana Grande also received the Breakthrough Artist of the Year award from the Music Business Association, recognizing her achievements throughout 2013, including her No. 1 debut on the Billboard 200. Ariana Grande released her second studio album on August 25, 2014. There was bizarre of media houses and publications praising her for her second success in a row. It sold 169,000 copies in its first week and debuted atop the Billboard 200, becoming her second consecutive No. 1 album in the US. Ariana Grande performed at one of the songs of the album on the event of 2014 MTV Video Music Awards and got the award for best pop video for her single named Problem. In 2014 in the month of September she was seen on the 40th season of the show Saturday Night Live with Chris Pratt Hosting the show. In 2015 Ariana Grande was seen as a guest on the show scream queens and she had also launched her very first fragrance named Ari by Ariana Grande that year. That year she gave some hit song like Focus, Zero to Hero from Hercules and Christmas & Chill. On March 16 Ariana Grande busted the world with her album named Dangerous Woman and she was able to maintain her leads on the top rank of the USS Billboards. On March 12, 2016, Ariana Grande also hosted the show Saturday Night Live and performed on the single from her new album named Be Alright. Her second single from the album named Into You was able to break all the records and was on the top ranking of all the charts internationally as well. The song’s music video has 900 million views. In 2016 she was doing a comic role in a film named Zoolander 2. Ariana Grande also collaborated with MAC Cosmetics on a makeup collection, donating 100% of proceeds to the MAC AIDS Fund, released additional fragrances and launched a fashion line in collaboration with Lipsy London. In August 2016 she also performed on various Whitney Houston songs to pay a tribute to her. Ariana Grande began her Dangerous Woman tour in 2017 in the month of February. Reviewing her concert many critics, newspapers and entertainment journalists believed that it is bets when she performs and Ariana Grande takes the world singing along with her on her tunes. On May 22 a very unfortunate incident happened on her tour when Ariana Grande was performing in Manchester, at the end of the concert a suicide bomber exploded the area which case 32 deaths and 120 people were injured. Then Ariana Grande held a benefit concert on June 4, at the Old Trafford Cricket Ground in Manchester, titled One Love Manchester, raising more than $13 million to aid the bombing victims and affected families. There were these other singers like Justin Beiber and Katy Perry who also performed at the show to raise money for the cause. Like every other celebrity who is active on social media, Ariana Grande is also the one who loved to keep her fans updated about her upcoming ventures. Ariana Grande is one of the most famous celebs on the social media who is being followed by millions of fans on the globe and Ariana Grande never fails to entertain them in the best way possible. Her music videos have been recorded as one of the highest viewed videos of all times with about 8 billion views approximately. Her YouTube channel has 15 million subscribers and is ranked at No. 25 in the list of highest ranked YouTube channels. Ariana Grande is the 2nd most followed person on the Instagram where she is active regularly keeping her fans posted about her recent and live updates. Her twitter account has 45 million followers from all over the world and which has made her the 17th ranked person with the highest number of followers on Twitter. 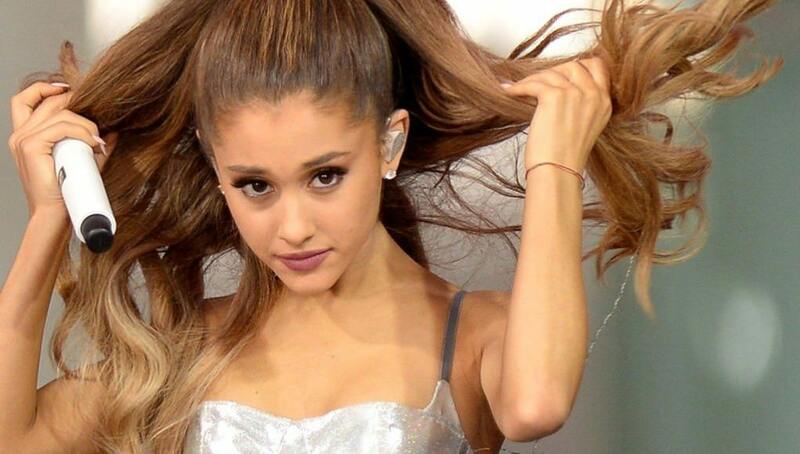 Ariana Grande Facebook page is believed to have more than 30 million of likes. So all of this love from her fans has proved that Ariana Grande is one of the most loved and acknowledged celebrities and singing sensation of this era. We love to hear her perform and we always keep ourselves posted about her new updates via social media or even news channels who have been constantly praising about her every now and then. Ariana Grande & Mac Miller: A Timeline..
Ariana Grande & Mac Miller Split After..
Ariana Grande Deemed 'Rudest Celebrity..
Ariana Grande 'Cried For Days' & Almos..
Ariana Grande & Millie Bobby Brown Jus..
Ariana Grande Now Has ICY WHITE Hair &..